Icona, the first scheme overlooking the Olympic Park is nearing completion. Telford Homes’ residential-led, mixed-use development is one of the first schemes in the area to hand over. It will overlook the Olympic aquatic centre and is within 300m of the proposed stadium. 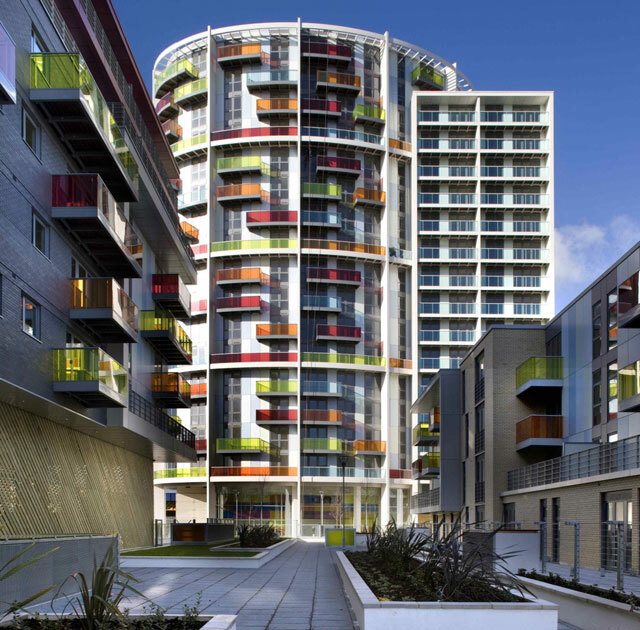 Telford Homes acted as both developer and contractor and architects and urban designers, Stock Woolstencroft, designed and oversaw the construction of this high profile, landmark development. Moscow new skyscreapers and breathtaking architecture project Russia.